A group of real estate investors saw an opportunity in Decatur, GA and they sought a lending partner who could understand their vision and craft the right loan structure. Ultimately, the loan helped fund the acquisition of the property and provides additional funds for improvements concurrent with the investors increasing value and performance of the underlying collateral. The city of Decatur is vibrant with commercial activity. It is also a desirable place for young professionals to live and work. 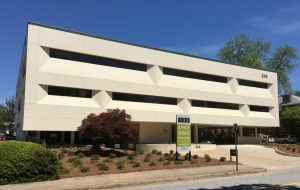 The investors found an office property with an outstanding location 1 block from the Marta station which had become slightly dated in terms of comfort, look and security. While the property was 93% occupied having several long-term tenants, the property was not well positioned to match the stature and economic performance of a rising market. Over the long-term neither the tenants nor the community would be well served without proactive ownership. The opportunity would be a win-win because the types of improvements needed at the property would make the building more welcoming and more valuable to its tenants and their employees. The improvements are underway and are already having a positive impact. The parking garage has new LED lighting adding the perception and reality of a safe environment regardless of the hour. The garage and lobby have improved secure access controls as well as a new video monitoring system. Key landscape elements have been redesigned. Various building systems have been improved including Fire & Life Safety, and deferred maintenance of the HVAC has been addressed. Future improvements include better acoustics and a modernization of common areas in the lobby, near elevators and restrooms. The exterior of the building will also be painted and made current. Alongside the borrower’s equity contribution, Credit Union Business Services (CUBS) may fund in excess of $900,000 post acquisition into the property improvements. The value is being returned through savings in operating expenses (including upwards of $0.50/sf from the reduced power requirement of the new parking garage LEDs) and ultimately through delivering more value to tenants in the form of an improved facility and better customer service. 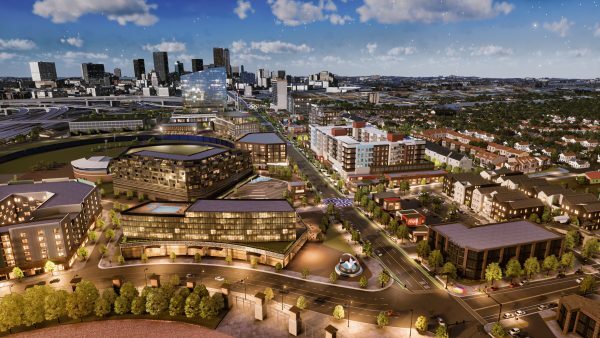 The investors and CUBS are working in tandem toward these objectives and in the process are quite happy to be contributing to Decatur’s success.